What became of the snake? I didn’t want to touch it, but my neighbor Pauline told me I better get rid of it before it stinks and really becomes a problem. The thought of this grossed me out. “I have a machete in the truck” she tells me. Uh Oh. I ask her if she’ll do it, and she politely tells me that I need to. I shudder. So there I am with a glove on and a machete in my hand ready to hack that snake to pieces, when Paul’s beautiful logic saves the day. 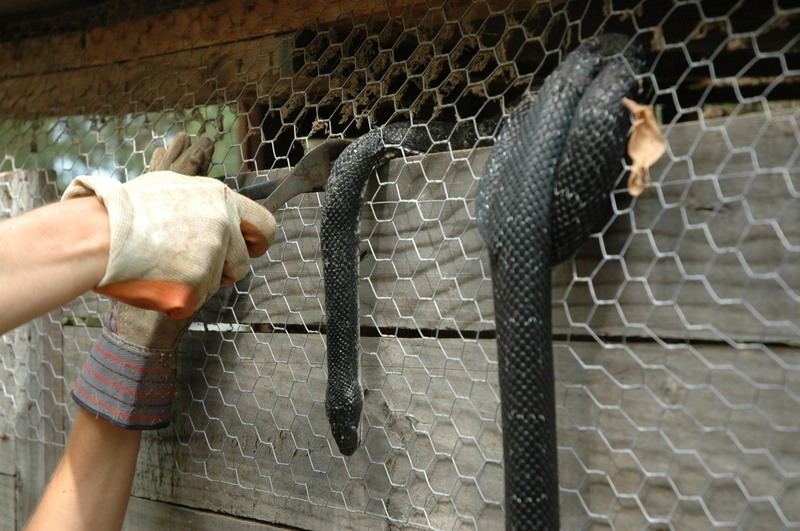 He suggested that I get wire snips and snip the wire that the snake is snared in, and remove the snake in one piece. BEAUTIFUL! I wasn’t ready to wield a sharp blade and hack something to pieces. Here we go, snip #1. Paul says to me. “Stop looking like this is the worst thing in the world!” I’m sorry, but to me this isn’t a pleasant experience. So here I am, smiling and wincing, praying that this fat snake doesn’t land on my feet. 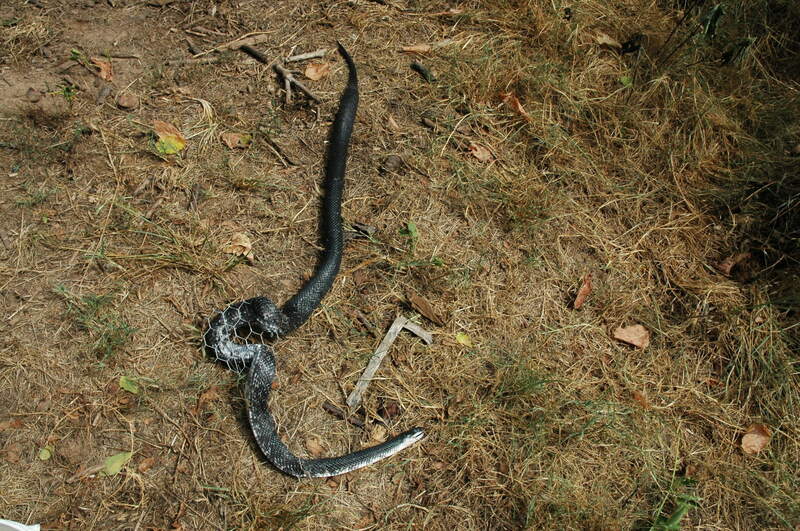 Here is the snake all cut out and still in one piece…Thank goodness! This is me facing a fear here. 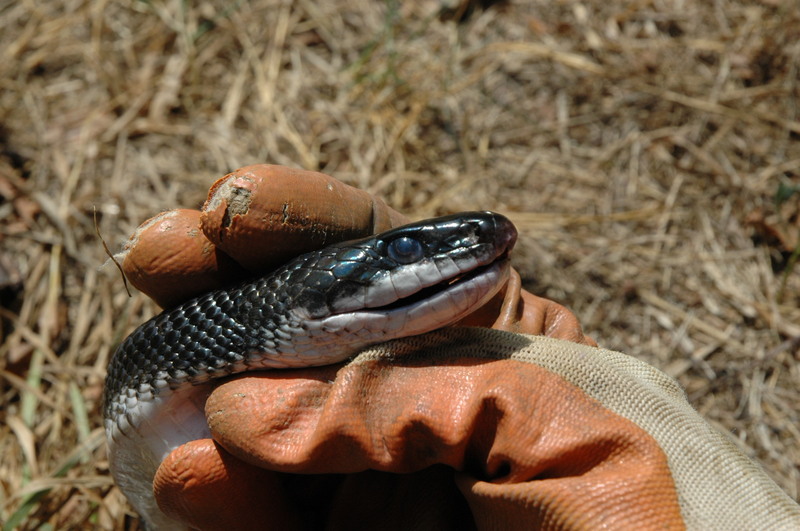 I couldn’t tell if the pulse that I was feeling was the snake’s or my own, but it kind of felt like it wasn’t mine. CREEPY. We made peace with one another before I flung it into the woods. Thanks Pauline for making me do this on my own. When one is presented with an obstacle such as this, the easy choice is to not do it. I had to A “man”da-up here and take one for the team. your a better man than me aMANda! so why was this not done by the MAN of the farm???? 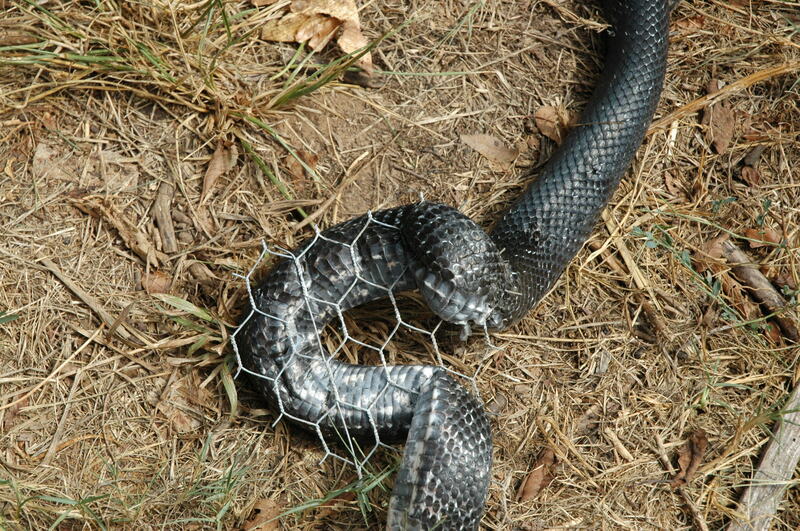 by the way there are 2 black colored snakes in AR, one with a white belly and one with a yellow belly. 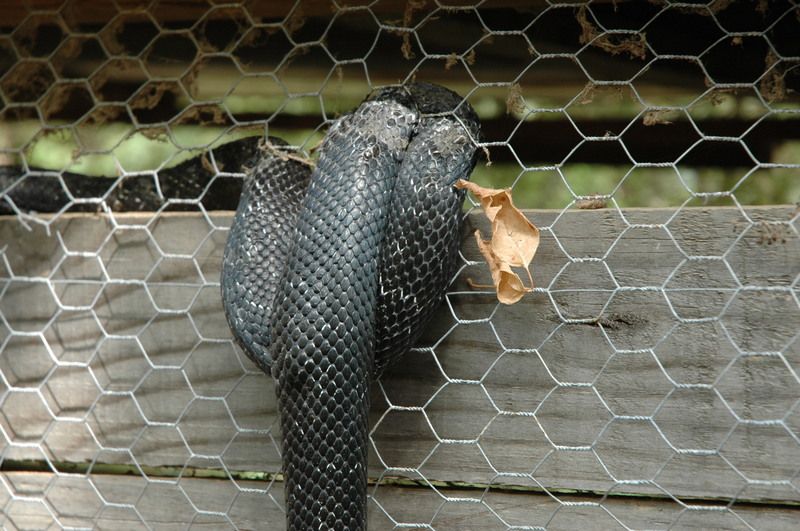 the yellow belly is poisonous ! Note the very very ROUND eyes on your egg thief? that is a sign of a NON poisonous snake! Next time you are that close, and want to check out the eyes…. be sure it is dead. again, did he eat ALL the eggs that the hens were sitting on? Dude that is insane, sad, and gross all wrapped into one. You’re right. It is insane, sad and gross all at the same time.